Can thoughts be harnessed to move robotic limbs? Advances in neural engineering could make what sounds like science fiction a reality in less than a decade. “The day Jayna Bean Doll was born, May 11, 2006, we noticed seizure-like behavior. After close supervision, her doctor confirmed the seizures and ordered a CT scan of her brain. He closed the door to our room to give us the news… we knew right away, our lives were never going to be the same…” – Jayna’s mother, Sunshine Glynn, via CaringBridge. The diagnosis was hemimegalencephaly, a rare condition in which one half of the brain develops abnormally larger than the other. The seizures, a symptom of the condition, lasted minutes, consuming Jayna’s entire being. The only answer, at 28 days old, was a hemispherectomy — performed on the youngest patient in the world at the time — by Seattle Children’s neurosurgeon and Center for Sensorimotor Neural Engineering member Dr. Jeff Ojemann. The surgery to disconnect the right hemisphere of her brain was successful, but the outlook was dim: doctors told Jayna’s family she’d likely never walk or talk. That they’d have only a few years with her, at best. 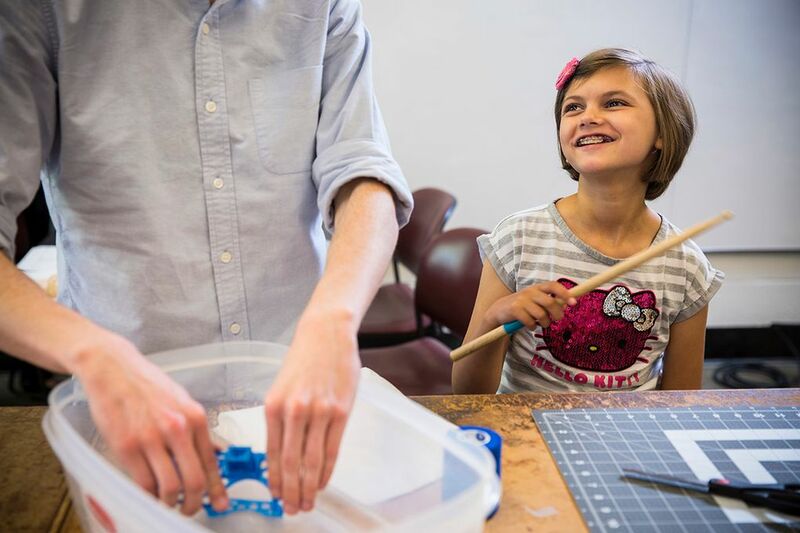 Fast-forward a decade, and Jayna — who lives life with partial blindness and paralysis on the left side of her body — is the happiest walking, talking 10-year-old you’ll ever meet. 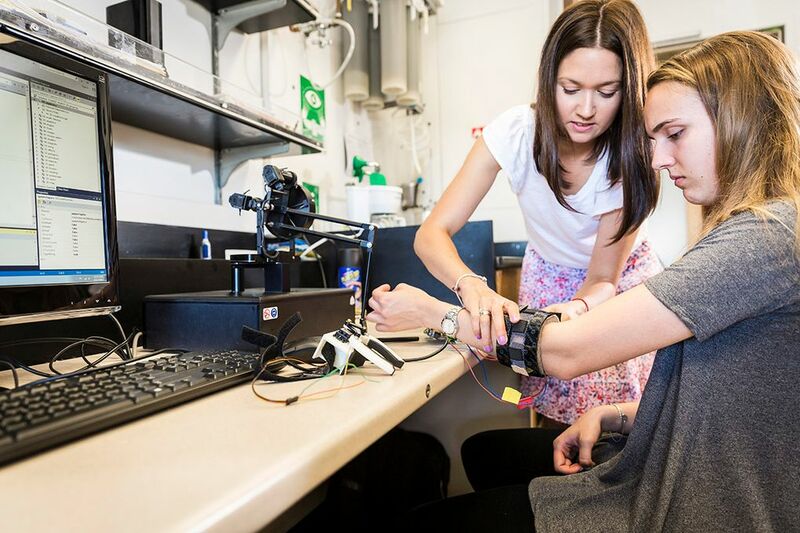 And, as a participant in the College of Engineering’s Ability & Innovation Lab pioneered by assistant professor of mechanical engineering and CSNE member Kat Steele, Jayna is working with mechanical engineering students to design body-powered orthoses to enrich not just her own life, but the lives of others. For the uninitiated, it sounds like science fiction: humans using brain control to bring robotic limbs — or even their own paralyzed limbs — to life. 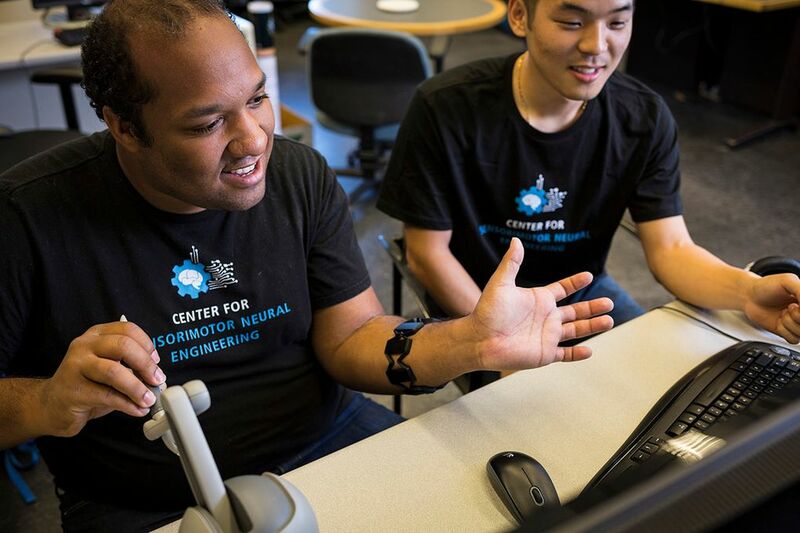 For CSNE director Rajesh Rao and CSNE deputy director Chet Moritz, it’s the future of neural engineering — and it’s less than a decade away. 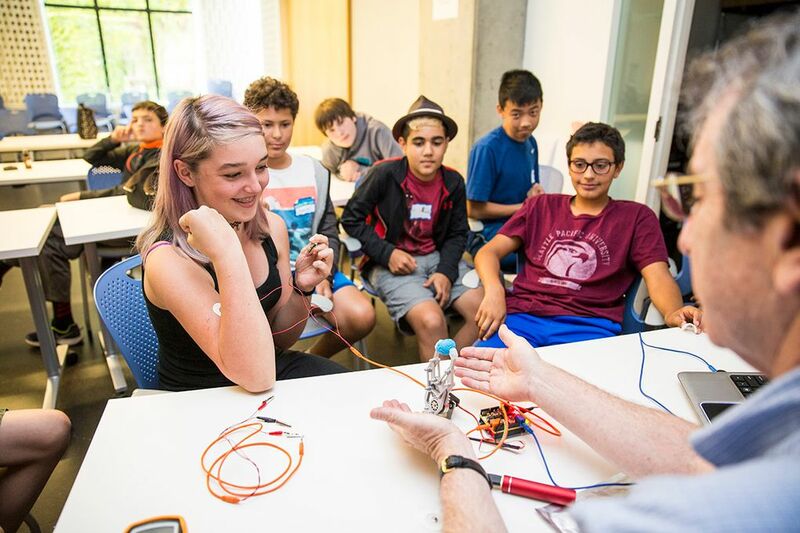 Housed in the University of Washington’s College of Engineering, the CSNE is a cross-disciplinary hub that brings together medicine and engineering to develop novel solutions for conditions that range from stroke to spinal cord injury. It’s an ecosystem of innovation centered on a shared mission: empowering people with disabilities through connecting brains with technology. While the intent to move is still there for individuals who have undergone stroke or spinal cord injury and experience paralysis, there’s a missing link — maybe a damaged nerve — in the loop that sends that message from the brain to the muscle. That’s where the CSNE comes in. Participants in the CSNE’s studies are patients who are in for an epilepsy diagnosis and have volunteered to assist during their one- to two- week hospital stay. 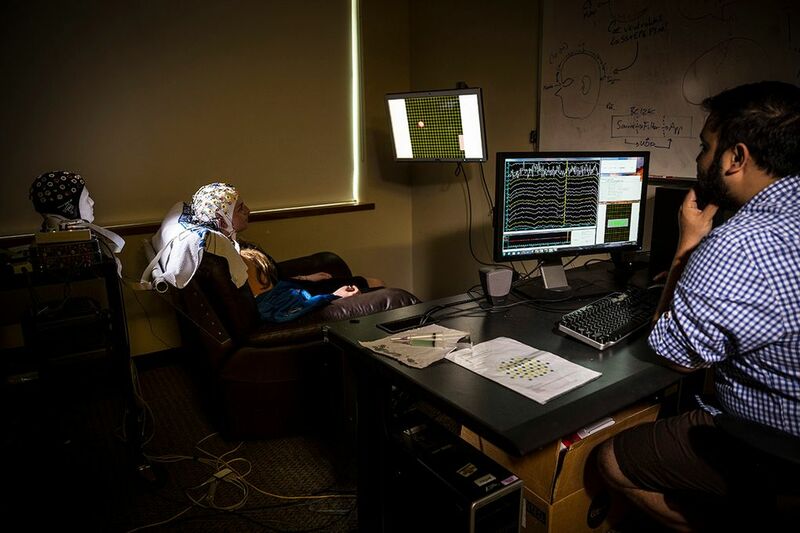 There, CSNE researchers connect the signals measured directly from the brain to a computer translator connected to a robotic arm and, without physically lifting a finger, the participants think of controlling it. Reaching out to a loved one, grabbing a drink of water. The robotic arm moves. “But what happens if we want to control our own paralyzed limb?” poses Moritz. “We can electrically stimulate the spinal cord below the level of the injury using an implantable device, a type of brain-computer interface.” Essentially, chips and wires that act as a pseudo nervous system and learn in real time, creating a bridge to reconnect the brain to the spinal cord below the injury. “The goal isn’t so much to use a brain signal to control a prosthetic limb as it is to allow the brain to heal itself,” says Rao. Over time, the goal is to help brain and spinal circuits rewire around the area of injury and actually reanimate once-paralyzed limbs. Learn more about this story from the University of Washington.